Escaping reality through code . . .
Here’s the first of a few older projects I’ll end up posting and open sourcing on this site just for historical purposes. The Halo games and Xbox console in general are what originally got me involved in software development, so I figure I’ll post what started it all first. It began in December of 2004 with me installing a mod-chip on my Xbox which basically turns it into a media center and also allows for the execution of homebrew software among other things. During that process, I stumbled across the Halo 2 map editor Ch2r, which provided the basic ability to open Halo 2 .map files and modify the resources within. 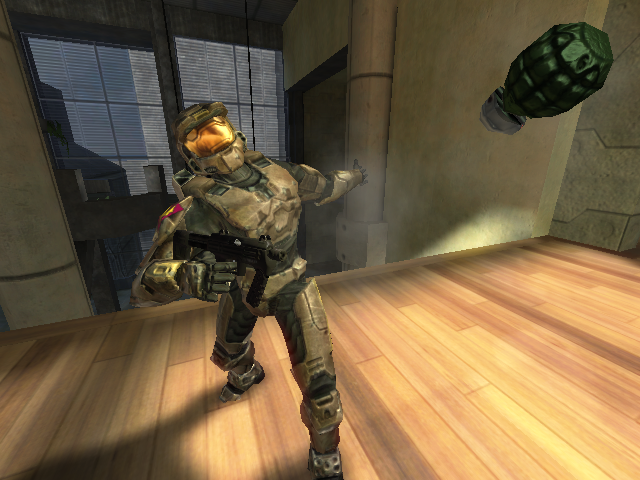 Halo maps use a tag-based system for storing information related to everything from vehicle and weapon settings to particle effects or raw resources such as models, images, and sounds. Ch2r had an xml plugin system that was used to identify offsets and data types of the information stored in each of those tags. Since most plugins were still in their infancy, I decided to teach my self how to read the tags extracted by Ch2r in a hex editor and identify some of the tag values for the rest of the Halo modding community to use in their mods. Eventually, I became interested in the Halo 2 game engine itself, and started learning x86 assembly so I could make a simple third person camera hack similar to the one bitterbanana made for the original Halo on PC. With the help of Acidflash, EvoxT, and a few others in the scene, I started picking up the knowledge needed to create and inject assembly code into Xbox games. On and off over the course of a few years, I spent lots of time researching the Halo 2 game engine by locating things in memory, stepping through the code in a debugger, studying its disassembly, and documenting all of my findings. The features in Yelo are only a small collection of the things I’ve found researching throughout the years, but it still provides users with plenty of options and a good overall summary of some of the useful things that can be done in the game. Bungie must have also recognized the large amount of replay value these kinds of features offer, since they’ve included something similar to Yelo in all of their new titles following Halo 2, allowing you to fly around in the levels and take screen shots. I only wish other game developers in the industry would catch on and do the same, as exploring some of these virtual worlds can be very fun and interesting. This trainer will only work with the Xored ETM Launcher v2.2 (due to memory allocation issues) so be sure to download that before use. Please use Aequitas’ UberScreenshotTool below for screenshot recovery. Use the supplied config editor below if you wish to change things. For those of you that have been complaining about the 1.1 update and wish to still use the new maps, download and apply Snave’s mainmenu patch below. -Have you read this entire post? -Are you using the Xored v2.2 launcher with correct config settings? -Did you transfer over the “config_v1.5.inc” to “E:/TDATA/4D530064/”? -Did you disable the Autoupdate in your trainer options menu? -Do you only have one controller plugged in, and is it in the first controller port? -Do you have a semi-functional brain that posesses the knowledge required to run such a fine piece of software?